an additional charge payable in cash on arrival to the guest relations consultant. Please discuss this with your consultant for further clarity. Should you wish to guarantee a late departure or an early arrival this will be subject to availability and a half a nights rental will be charged to secure this. The accommodation is only to be utilised for the personal use of the guest and the number of occupants shall not exceed as per the original request processed by the guest. At no point in time shall the number of occupants exceed the maximum number as per what the accommodation can accommodate. The accommodation shall be used only as a private residence. An invoice has been sent to you , by your consultant. This includes all the information pertaining to your booking including the terms and conditions of such booking. Please ensure the dates, rate and total amount are correct as per your request to the consultant. All payments must be made into our nominated bank account and must include the payment reference, as indicated on the booking invoice. The inability to identify a payment, could lead to the incorrect or non- allocation of your funds, which could result in your booking not being properly confirmed. We are not liable for any loss or damage you may suffer as a result of an incorrect or delayed allocation of an amount paid without the correct payment reference and as such urge you to be diligent in ensuring all payments are correctly referenced. Please also note that by making payment of any amounts you indicate your acceptance of the terms. You also warrant that you have the contractual capacity to enter into this agreement with us. If payment is made by a person acting in a representative capacity on behalf of you, the paying party warrants that they have the right to bind the person in whose name the booking is made. Payment of your reservation constitutes agreement of our booking terms and that you have read, understood and agreed to the terms and conditions available, as unmodified by you. No birthday parties, functions, events and/or similar are to be held the accommodation, unless by prior arrangement and written consent by management. No third party suppliers, caterers, external contractor and/or similar are allowed onto the accommodation, unless by prior arrangement and written consent by management. Should the guest breach this clause, then Capsol or the owner may either levy a penalty fee of a minimum amount equal to 5 (five) times the nightly rate paid or which Capsol, in its sole discretion, deems reasonable, or Capsol/ the owner shall be entitled to sue for such damages as may be legally permissible. The guest shall pay Capsol fifty percent (50%) of the total amount (“the booking deposit”) as contained in the invoice rendered by Capsol to the guest (“the booking invoice”), alternatively the amount specifically stipulated in the booking invoice. The guest shall ensure that the booking deposit reflects in the nominated bank account of Capsol within three (3) days of invoicing for any payments from a bank account registered and held in the Republic of South Africa (“the Republic”) and within seven (7) for any payments made from a bank account registered and held outside the Republic. Despite the aforesaid, should the booking invoice contain a specified date upon which the booking deposit is to be paid by the guest, the guest shall ensure that the booking deposit is paid and reflects in the bank account of Capsol on or before the date stipulated therein. The guest shall ensure that the remainder of the amount contained in the booking invoice reflects in the bank account of Capsol no less than thirty (30) days prior to the arrival of the applicable booking. If the arrival date of the applicable booking falls within thirty (30) days of the guest signing this document, full payment of the amount contained in the booking invoice shall be due and payable upon submission of the booking documentation and proof of payment shall be submitted simultaneously to Capsol. **For bookings which fall within the Peak Season (December / January) the balance shall be due and payable no less than sixty (60) days prior to arrival. In the event that the guest fails to make payment of any amount due to Capsol in terms of the booking (i.e. fail to process their balance of payment on due date), Capsol shall have the right to cancel the booking and the guest shall forfeit all monies received by Capsol pertaining to the booking. In the event that Capsol cancels the booking, for any reason whatsoever in terms of the provisions of this agreement, Capsol shall not be liable to refund any monies received, subject to any sections of this agreement to the contrary. It is specifically recorded and agreed that Capsol shall only process and/or confirm a booking made by a guest once the booking deposit has reflected in the bank account nominated by Capsol (within the stipulated timeframe, free of any deduction, set-off, bank charges, FOREX or any other charges or taxes), and Capsol has received signed acknowledgment from the owner/ owner’s representative that the booking has been confirmed by same. In the event of any credit card transaction(s) made by / on behalf of the guest pertaining to any monies payable to Capsol, the guest specifically confirms under no circumstances whatsoever shall the guest at any time authorise / instruct any reversal / cancellation of credit card transactions payable to Capsol. All credit card transactions are subject to a surcharge on top of the amount that needs to be processed. Cancellation: Should the guest cancel the reservation prior to occupation of the accommodation, Capsol will be entitled to charge the guest a reasonable cancellation penalty to compensate for the cancellation. Capsol will take all reasonable steps to ensure all losses incurred are kept to the minimum. In the event of Capsol being unable to re-book the accommodation, no refunds shall be due and payable to the guest. **Guests are advised to procure suitable insurance covering the guests own risk in relation to any occurrence which might occur. On receipt of a written instruction from you to cancel the reservation, we undertake to get the refund to you as soon as possible,however, due to the fact that we are merely facilitating the flow of funds from the accommodation owner back to you we do not have control over the entire refund process and are reliant on the accommodation owner. Refund payments are subject to a 3% (three percent) handling fee on the refunded amount. If a SWIFT transfer is necessary this will carry an additional R180.00 (one hundred and eighty rand) charge and for credit cards 2,5% against the amount refunded. Please note that chargebacks on card payments are not an alternative to cancellations of bookings. Chargebacks are a mechanism to prevent fraud and should not be abused. Any abuse will be reported to the card issuing bank. Damages Deposit:A damages deposit shall be required on or before check-in and is used to cover any loss or damage suffered by Capsol, the owner and/or their representative. The damage deposit method and amount shall vary depending on the accommodation booked. The damage deposit shall be refunded to the guest after the accommodation has been vacated & checked and after deduction of any cost to repair damage to the accommodation and/or to the contents thereof, outstanding amounts and/or any other expenses for which the guest is liable. The guest hereby authorises Capsol, the owner, and/or their representative to utilise such funds as required from the aforesaid damages deposit and further give authority to deduct any charges from the guest’s credit card. Water Restrictions: The City of Cape Town is currently in the middle of a dire water crisis. Accordingly, water restrictions have been implemented to manage this. In addition, fines and other punitive measures have been introduced, to discourage non-essential water use. It shall be the responsibility of the guest to familiarise themselves with the by-laws and adhere to the prescribed minimum water usage. 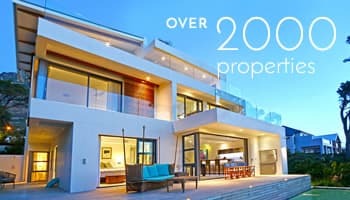 Excessive water usage will be considered negligence and any fines incurred and/or measures taken by the City of Cape Town against Capsol and/or the owners/owners representative will be for the guests account. We would like to re-iterate that the infringement of your enjoyment of certain facilities is out of our control and as such we are subject to the by-laws governing our city. Accordingly, neither Capsol, nor the owners/owners representative shall be liable for any refunds, compensation or discounts as a result of services being unavailable due to the water restrictions. The accommodation are only to be utilised for the personal use of the guest and the number of occupants shall not exceed as per the original request processed by the guest. At no point in time shall the number of occupants exceed the maximum number as per what the accommodation can accommodate. The accommodation shall be used only as a private residence. It is specifically recorded that the terms of this agreement is binding on all persons who occupy the accommodation. The guest shall advise Capsol immediately of any intended increase in the number of occupants who are to occupy the accommodation at any time during the occupation period, as well as the duration of their proposed occupancy of the accommodation. It is recorded that any such additional occupants shall only be entitled to occupy the accommodation with the express written consent of Capsol, which consent may be withheld by Capsol, in its sole and absolute discretion. Additional occupants could be subjected to an additional charge of double the nightly rate paid or as determined by Capsol. The guest shall have the use of the linen and bath towels on the accommodation, but these (nor any other items) shall be removed from the accommodation. The guest shall keep the accommodation and the contents in good order and at the termination of the agreement period will return the accommodation and the contents in the same good order and condition as they were at the commencement of the agreement. The guest will be liable for the cost of repairing any damage to the accommodation, even if the cost of the damages is more than the refundable deposit amount. Any lost keys or keys not returned, could result in locks and keys being replaced and the guest will be held accountable for costs. Capsol, nor it employees, agents or contractors, or anyone else acting on Capsol’s behalf can, nor will be, liable in whatsoever respect for any theft, claim, loss, damage or injury which the guest (including his / her family members, occupants or visitors or the like) may directly or indirectly suffer at the accommodation or the surrounds thereof, except where it arises through the direct fault of Capsol. Capsol, however, shall not be liable to the guest for any direct, indirect, special, consequential or punitive damages arising out of the booking which is the subject matter of this agreement, howsoever arising, notwithstanding any clause in this agreement to the contrary. To the greatest extent permitted by law, Capsol’s liability in terms of this agreement is limited to the commission actually earned by Capsol off such booking. The guest must report any concerns / defects, of whatsoever nature, regarding the accommodation to the Capsol AND the guest relations manager or the owner and/or their representative within 24 (twenty four) hours after occupation. Failing this, it will be construed that the accommodation contain everything in good order and condition. The guest shall not make any alterations or additions to the accommodation. Please allow reasonable time for defects to be rectified. The properties are “working assets” and certain unforeseen defects could occur. The guest shall not be allowed to make any duplicate copies of the keys in respect of the accommodation without the prior written consent of Capsol and shall upon departure deliver all keys, including remote controls to Capsol. The guest undertakes to pay an amount equal to any claim made against Capsol by any party / person for any loss/ damage or injury suffered in or on the accommodation in consequence of any act or omission by the guest or any persons under the guest’s control or who occupy the accommodation due to the guest’s occupation of the accommodation. Capsol, the owner and/or their representatives shall have the right of access to the accommodation, in order to affect any repairs to the accommodation, or for any emergency purposes. The guest would be notified timelessly so that the guest is not inconvenienced. In terms of Section 45 of the Magistrate’s Court Act 1944, as amended, the guest consents to the jurisdiction of the Magistrate’s Court having jurisdiction of the guest’s person in respect of any action or proceedings which may be instituted against the guest in terms of or arising out of this agreement notwithstanding the amount of the relevant. In the event of the guest committing a breach of any of the terms of the agreement, Capsol, the owner and/or owner’s representatives, shall call upon the guest to remedy the breach complained of. In the event that the guest fails to remedy same, then Capsol, the owner and/or owner’s representatives shall be entitled at his/ her sole discretion and without prejudice to any of its other rights within the law and / or in terms of this agreement, either to claim specific performance of the terms of this agreement or to cancel this agreement forthwith and without further notice and claim damages from the guest. Any indulgences granted by Capsol to the guest at any time shall in no way effect or act as a bar to Capsol enforcing its right at any given time for any similar or other breach or failure on the part of the guest. The guest shall not have the right to assign or sublet the accommodation, or any portion thereof. The guest shall not cede any of his / her rights or delegate any of his / her obligations in terms of this agreement. 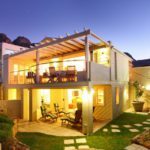 In the event of the accommodation being simultaneously for sale, the guest confirms to allow the relevant person/persons access for selling purposes. However it is specifically recorded that such access should only be allowed upon sufficient (24 hours) notice and during convenient times for the guest. For reference, please note that standard check in time is 14h00 and the standard departure time is 10h00, unless prior arrangement is made with Capsol. The guest undertakes not to cause a nuisance to any other guests or occupiers of adjacent or other properties of which the accommodation form part of or in the vicinity of the occupied accommodation by any means whatsoever and the guest specifically undertakes not to cause a nuisance by emitting any gases, fluids, noxious matter or noise which may cause a nuisance. It is specifically recorded that the guest may not make any negative statements in whichever format regarding Capsol and / or the services they offer, to any entity, person, the media or organization whatsoever. The terms of this document form the sole contractual relationship between the parties. The guest chooses as their domicilia citandi et executandi the address of the booked accommodation. Photographs / web information/descriptions – These are intended to give an overall impression of a specific accommodation. Capsol cannot be held liable for any items of furniture or chattels, which appear in the description or photographs used in our brochures / websites or via e-mail, which may have changed or been removed from the accommodation or any aspects of the accommodation’s environment which may have changed since the photographs were taken. Please note that, in the event of Capsol facilitating/ arranging additional third-party services and products, i.e. car hire, cot hire, chefs, catering, cleaning, security services, tours, transfers, baby-sitting services and other guest-related services, Capsol cannot be held liable and/ or responsible for the quality and service delivery of such additional thirds party services and/or products. Payment for such services shall be in addition to accommodation paid by the guest and where applicable, settled directly with the relevant service provider. Internet (ADSL, WIFI, 3G etc.) is provided by a 3rd party supplier and Capsol, nor the owner, is responsible for the reliability and/or speed of the internet provided at the accommodation (if applicable).Unfortunately the speed and up-time of our internet services are sub-standard compared to Europe, USA etc. The guest hereby warrants that the guest has the right to enter into this agreement; and the guest will at all times act in a manner in accordance with the law; and all information provided by the guest is true and accurate in all material respects. Liability by Capsol and Contractual relationship: Please note that the agreement for providing accommodation lies between you and the owner of the accommodation itself. Capsol is not a party to or involved in that agreement. Our responsibility to you in terms of this agreement ends once you have booked or chosen not to book your accommodation. In view of this fact under no circumstances will Capsol be held liable for any negligence and/or wilful default by the supplier/owner of the accommodation. If you, as the guest, are not happy with the accommodation or if the supplier/owner of the accommodation does not honour the terms of your booking, you will not have any claim against Capsol whatsoever but your recourse will be against the owner directly. If any clause or terms have been held by a court of competent jurisdiction to be invalid, unenforceable or illegal, then the remaining terms and provisions of this agreement shall be deemed to be severable there from and shall continue in full force and effect unless such invalidity, unenforceability or illegality goes to the root of this agreement. The terms and conditions of this document and associated invoice shall constitute the sole contractual basis on which the parties will contract with each other, unless specifically agreed and signed to otherwise in writing. The rule of interpretation that in the event of a dispute between the parties, this agreement shall be interpreted against the drafter, shall not apply in this instance. If any provision or provisions of this agreement shall be held to be invalid, illegal, unenforceable or in conflict with the law, the validity, legality and enforceability of the remaining provisions shall not in any way be affected or impaired thereby. The terms of this document are binding and related to all transactions entered into between Capsol and the guest. By proceeding with your booking, you acknowledge that Capsol acts simply as the conduit for the conclusion of a reservation between yourself and the owner (or his/her appointed representative) of the accommodation. As such, by proceeding, you acknowledge that any claim for damages, whether contractual or delictual, and stemming from any issues pertaining to the accommodation or booking or any other reason whatsoever, can only be made against the owner of the accommodation (inclusive of any claim made in terms of the Consumer Protection Act No.68 of 2008) and that any right to claim damages as against Capsol for any reason whatsoever (unless stated otherwise in with these terms) is hereby waived by yourself and all who occupy the accommodation under your title. The guest agrees that, should any dispute arise pertaining to this agreement or any obligations there under, such dispute shall be adjudicated in terms of the laws of the Republic of South Africa regardless of which country, court or jurisdiction the dispute is heard and adjudicated.